“Be yourself. That’s the most important thing,” says Jin Xing, choreographer and director of Jin Xing Dance Theatre. “Be yourself and at the same time, coordinate with your surroundings, dancing together, breathing together with other people – that’s a good dancer. Don’t lose yourself to become a part of a group … the idea of who you are on stage, even if you’re very naïve or … very fresh, it doesn’t matter – that’s you, keep that and gradually with age, you’ll become a mature and experienced dancer”. Xing is well qualified to give such advice. Beginning life as a boy in the midst of the Cultural Revolution in north east China, at age 26 Xing underwent gender reassignment surgery and became the first transsexual officially recognised by the Chinese government. Now a beautiful and charming woman, Xing is married, with three children – Leo, Vivian and Julian. She is strong, highly intelligent and very true to herself, and her artform. “In the whole world there are so many beautiful dancers… who know how to dance. I know why I’m dancing, that’s a major difference. After so many years I’ve transformed myself from a dance machine to become a human being on stage, so when you see me on stage you don’t see my technique anymore, because … it’s expression, the feeling, the emotion [that is] much more important”. Aged 9 in 1976, Jin Xing, meaning ‘golden star’, embarked on a hunger strike in order to get his parents to send him to dance lessons. Finally he was allowed to join the dance company within the People’s Liberation Army (PLA). Eight years later he won the title of ‘Best Dancer of China’, and two years after that, a grant to study dance in New York. There he trained under some of the most important names in the history of modern dance: Limon, Cunningham and Graham amongst others. Xing then worked with several companies in Europe before returning to his home country in 1993. It was the experiences in New York which opened Xing’s eyes to the true power of dance. In the PLA, technique and discipline were everything, but American modern dance taught him to sublimate this power and express true emotion. 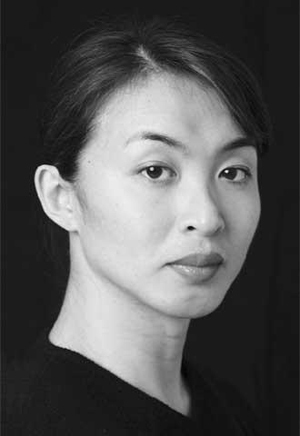 Xing went on to establish the first modern dance company in the People’s Republic, the Beijing Modern Dance Ensemble, in 1996. She now leads her own company, Jin Xing Dance Theatre, which has received much praise nationally and internationally, and has recently performed here in Australia with Shanghai Beauty. On a mission to develop contemporary dance culture in China, Xing believes the local audiences still need a push forward. “Somehow, psychologically they’re not confident enough. We are used to the kind of theatre audience who says ‘you have to tell me exactly what I’m going to see’, instead of involving themselves. I’m always teasing about it as people are yearning for freedom and in the theatre we give you freedom – you can look at an art piece from your own point of view. But they completely give up, they don’t want the freedom. We have a lot of young audiences, including people interested in dancing, and people who have experience with other contemporary art. The younger generation of Chinese are much more aware”. Xing acknowledges that some of her audience may come out of interest in her personal history. “60% maybe love my dancing, 40% is curiosity. After one and a half hours they’re convinced by my dancing. I’m not onstage telling transsexual stories, no, it’s art that convinces them, and slowly, gradually they become a dance or theatre audience. I think, why not? If my personal story can contribute to the art world, I’m delighted”. Top Photo: Courtesy http://geometrus.com/blog/index.php?itemid=9 autor: Dirk Bleiker, 2006.